Fmr. 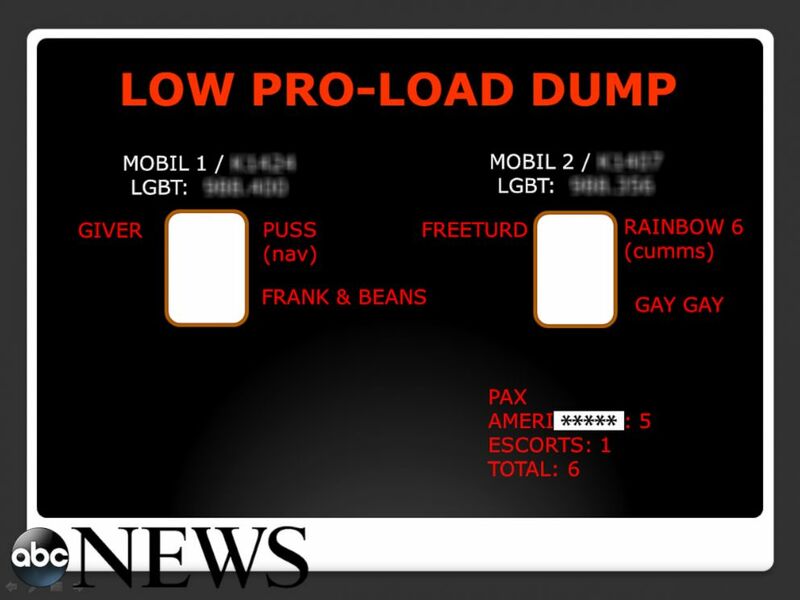 Navy SEAL says CIA mission brief included homophobic, racial slurs. 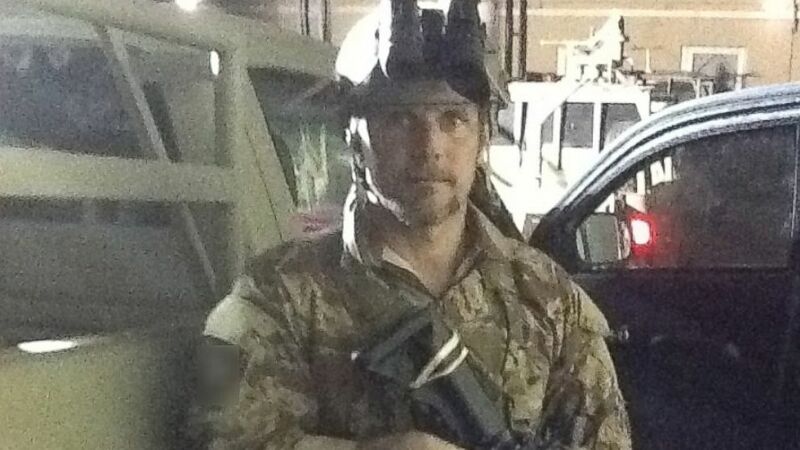 He spent 13 years on secret missions around the world for the CIA, but when former Navy SEAL Brett Jones looked into his cell phone camera and pressed “record” earlier this month, he was scared. 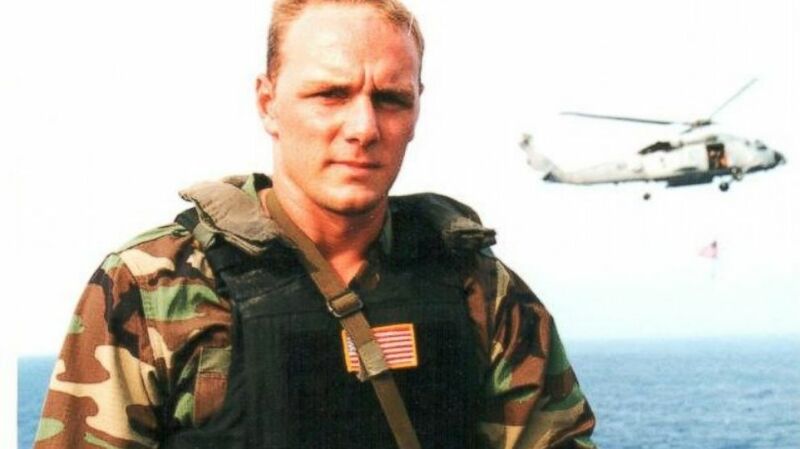 In one of the most dangerous places on the planet, Jones wasn’t afraid of the hundreds of militants eager to kill anyone associated with the CIA, he was afraid of his own men – afraid of being the victim of an “accident” downrange – or afraid of being left behind if a mission went bad. Jones, the only contractor with the CIA’s paramilitary Global Response Staff (GRS) who has come out publicly as gay, said that what had him so terrified was a disturbing pattern of harassment he had suffered and the homophobic, racist and sexist behavior he had seen from his own teammates – both contractors and CIA officials. It was behavior Jones felt he had to expose, even if it cost him his job, or worse. 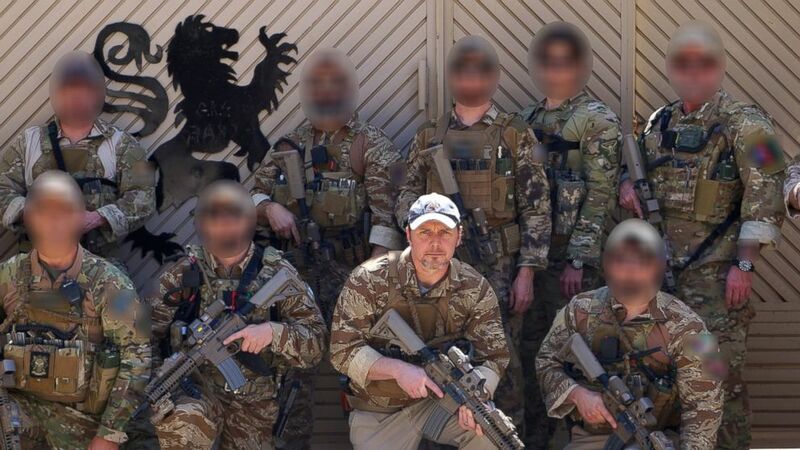 (Brett Jones) Brett Jones, right of center, poses with CIA GRS troops on a recent deployment. So Jones said he secretly made copies of some evidence in the form of an expletive-laden mission brief from a contract company’s computer and a series of what he called racist and homophobic images from an official CIA computer, and then made up a cover story to slip out of the country. This week the CIA declined to comment on Jones' specific allegations, but did not dispute his account. Jones told ABC News that in the decade-plus he has served on and off with the CIA GRS, mostly providing armed security for Agency assets in "high threat environments," he has routinely run into issues in which teammates use homophobic or racist language. Jones is white, but says he “doesn’t tolerate racism or bigotry.” He said that in past instances, he’s managed to diffuse the situation by taking the speaker aside and politely but firmly asking them to refrain from that kind of talk. 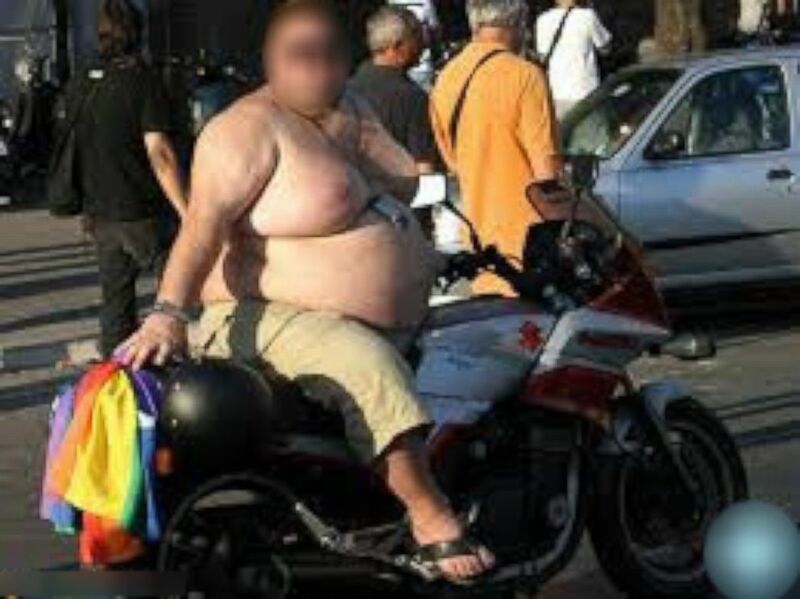 Generally, he said he always got along well with his colleagues – most of whom are well aware he’s gay. 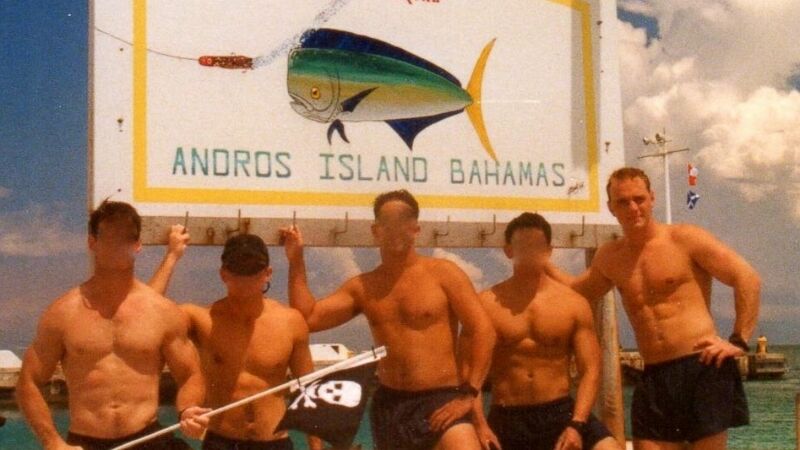 The CIA knew Jones was gay when they hired him back in 2003 -- and Jones said he was “extremely thankful” to be able to keep doing the kind of work he had done in the Navy as a SEAL. “I love it,” he said. “It’s a part of who I am... I get the best sleep at night when I know that I have done something that has saved somebody's life or made the world a little bit better in some way." Last February Jones came out to the general public as the first openly gay ex-Navy SEAL on the special operations news website SOFREP.com, but even after that his next few of deployments went fine, he said. (Brett Jones) Brett Jones was a Navy SEAL before leaving the Navy in 2003. The most recent was different. According to Jones, it started with small incidents after he arrived in country in June: no one coming to pick him up from the helicopter transport, a disturbing smell coming from his new sheets, no one sitting next to him in the chow hall, laughter abruptly ceasing when he walked into rooms. “I guess I thought I was being overly sensitive and I just had to man up a little bit,” he said. But Jones said the incidents kept piling up and getting worse. He said his team refused to let him in a truck during a vehicle test on a nearby mountain, forcing him to walk in the 120-plus degree heat. Another time someone stole his encrypted radio, which, if actually lost, he said would have potentially compromised the security of some American military and spy radio communications around the world. After racing around and asking everyone if they had taken the radio by accident, Jones said he found it on the table in the team room, surrounded by chuckling GRS operators. By that point Jones said he was already growing to believe that his life could be in danger – not because he thought his team would hurt him, but because they may not protect him. He said he got the message “loud and clear” that he wasn’t part of the team. (Brett Jones) Brett Jones on one of dozens of deployments as a contractor for the CIA. It all culminated at the end of June, just hours before Jones’ team was scheduled to go on a dangerous mission, in a pre-mission briefing. It was supposed to be a mundane briefing about communications protocols and contingency plans for the mission, but Jones said that before it started, someone had changed out most of the normal Powerpoint slides and replaced them with offensive ones –- mostly extremely sexual or racist in nature. 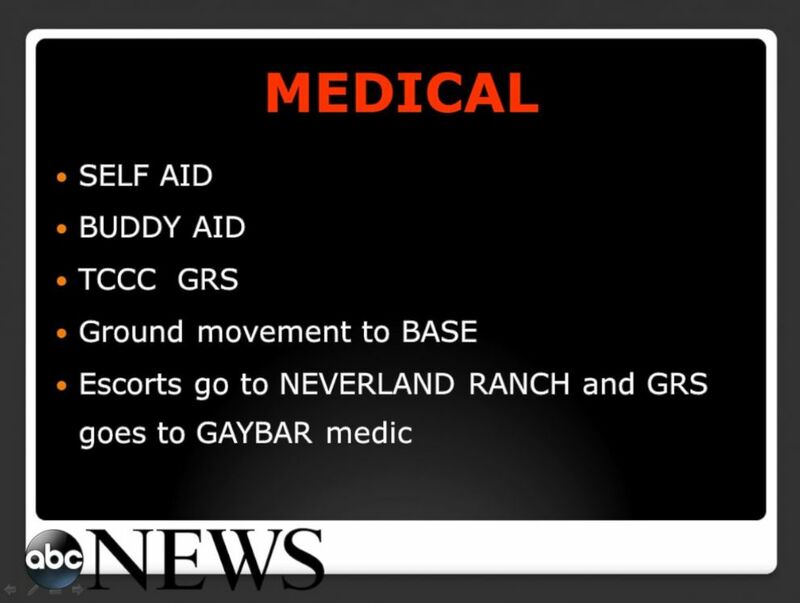 For instance, in one of the more restrained slides titled “Actions on Contact,” meant to describe what to do in case the team comes under fire, it lists options such as “reverse cowboy/girl,” “cross dresser,” “hard on,” and “deploy genital warts.” Jones provided ABC News with a copy of the slides. The CIA declined to comment on the briefing. (Brett Jones) Brett Jones said this slide is supposed to inform operators what to do if they come under fire. (Obtained by ABC News) Slides in a pre-mission briefing were switched out for those filled with vulgar racist, homophobic and sexual references, according to Brett Jones. (Brett Jones) Brett Jones said this slide is supposed to tell the CIA GRS team what to do in the case of a medical emergency. Jones said that when he looked around the briefing room, everyone was laughing except for him and two others, who apparently were not in it. Jones said he forced himself to go on the mission anyway, and it thankfully went off without any problems. But he came back to the slideshow a day later, and then he saw something else. On a CIA-owned computer next to the door of the briefing room, Jones saw a screensaver image of himself. Curious, Jones said he pulled up the folder that was feeding images to the screensaver and alleges he found a myriad of offensive images -- one was a racist photograph referencing President Obama and another, Jones believes, was an insult to Jones’ husband. (Brett Jones) This image was found on a CIA computer in Afghanistan, one of many racist images, according to CIA contractor Brett Jones. (Obtained by ABC News) This image appeared on a CIA-owned computer in Afghanistan, one of several offensive images, according to Brett Jones. That’s when Jones said he knew he had to “do the right thing” and report what he had seen. And though he was never directly threatened, Jones said it was then he started thinking about what some of the men could potentially do to stop him. “I knew at this point that I had to leave there. I had to get away from there because by me doing the right thing meant that probably some people were going to end up fired and if they knew I was leaving... And this is the thing, I couldn’t just report it up the chain of command there because I had no idea who was in on this,” he said. Instead, Jones was able to vaguely explain to a CIA superior in D.C. that he felt he was in a bad situation, and was able to go home after inventing a family emergency. Jones said he declined to report the incident through official CIA channels until after he spoke with reporters about what happened because he feared the CIA would “circle the wagons” and that nothing would change. He came forward, he said, in hopes of altering what he said can be a corrosive, closed culture in the Agency’s elite paramilitary units, not unlike the military’s special operations units. “It’s my hope in some way that it makes a change within the organization and not just the GRS program within the CIA, but all special operations units. Like Navy SEALs or [Army] Rangers, or any of those, to where these kids that are coming through training and going into their prospective careers can go in there knowing that they’re not going to have to deal with stuff like that,” he said. (Brett Jones) Brett Jones, right, in his early SEAL days. “As we go about our vital work at CIA, we have a duty to treat one another respectfully and professionally, and to foster a culture of tolerance and inclusion. 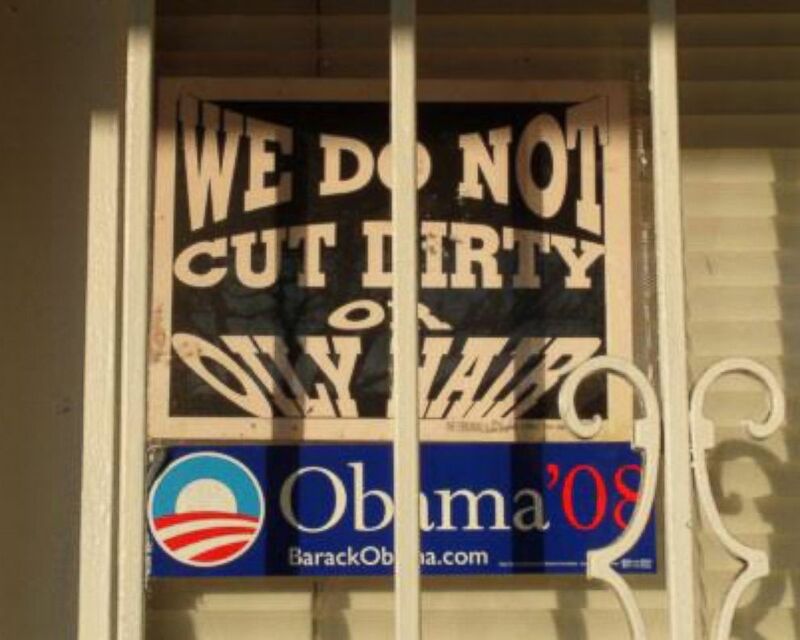 That is what our Nation expects and what all our employees deserve,” he added. Still, he said, he felt it was his duty to expose his team’s behavior and now says he’s working with the CIA in their probe of the incident. 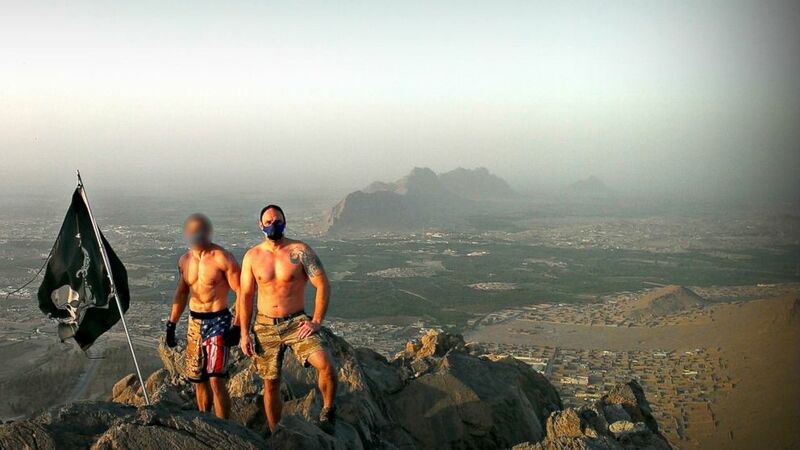 (Brett Jones) Brett Jones stands with a colleague on a mountaintop during a recent deployment abroad.